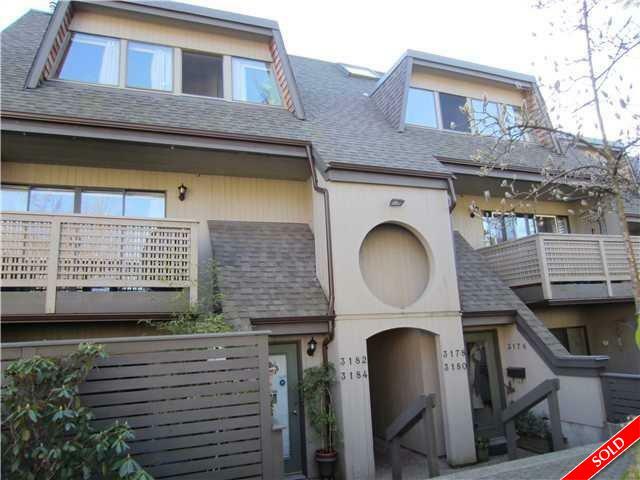 Description: Very well kept, quiet & clean BOSA built 1357 sq ft 3 bdrm Townhouse in Lynn Valley. 3 level living space with a bright open main floor w/fireplace & big southern exposed balcony, 2 generous bdrms above, 3rd bdrm, flex space & insuite laundry on top floor. Updated kitchen & bathrooms. Pet friendly. In a great central location, just a short walk to Lynn Valley Village, Lynn Valley Centre, buses, schools & trails. Very quiet and peaceful with a beautiful outlook over the creek. An ideal 3 bdrm home in a great neighbourhood. Open Sat & Sun Mar 7 & 8, 2:30-4:30.